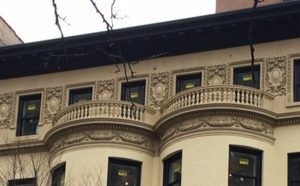 Reveal of facade work for 272-276 West 86th Street. I’m happy to see the houses are still there. I was involved when we first started going door to door, handing out flyers to protect the buildings. I own an apt.at 530 West End and look out directly to the yards of the homes. I am living out of state now, but keep up with the news of the area. They look the same, only cleaner. Are there still plans to build in the back and up? Has that plan been stopped? What’s happening to the two other buildings next to them? Thanks to all for continuing the work. The other buildings remain and have different owners. 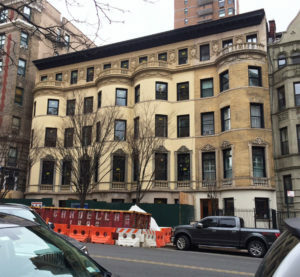 272 West 86th (as it’s now known) was approved for a rooftop and rear yard addition. The facade is all that remains from the original three buildings, due to its inclusion in the Riverside-West End Historic District Ext II. They’ve constructed seven condominiums on the premises, two still listed as available on their website.